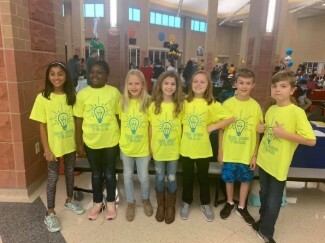 Elementary students across Mansfield ISD participated in the district's UIL competition on February 2. We had several teams of students participating in the various brain challenging events. We are very proud of all of our student for the hours of studying and hard work they put into their events. We are very excited to announce that 2 of our students placed in their events! Congratulations to Taylor Wallick who placed 3rd in Ready Writing and to Sam Vandenbergh who placed 6th in Creative Writing. Way to go Roadrunners! !